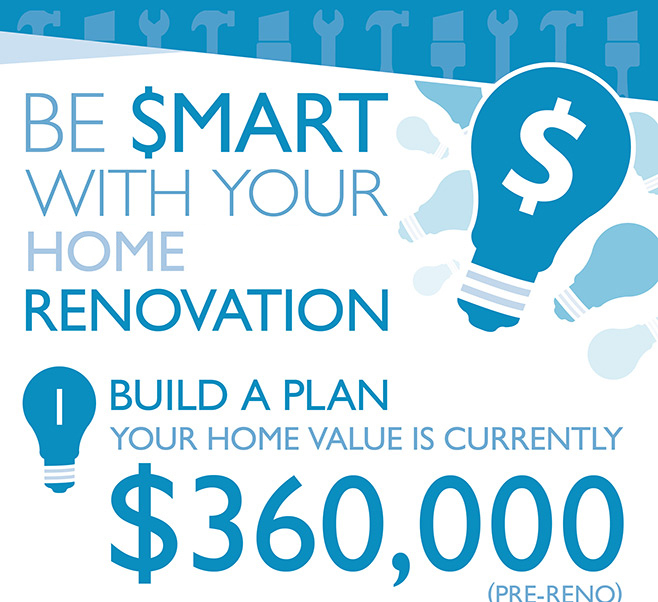 Renovating and want to boost the value of your home? 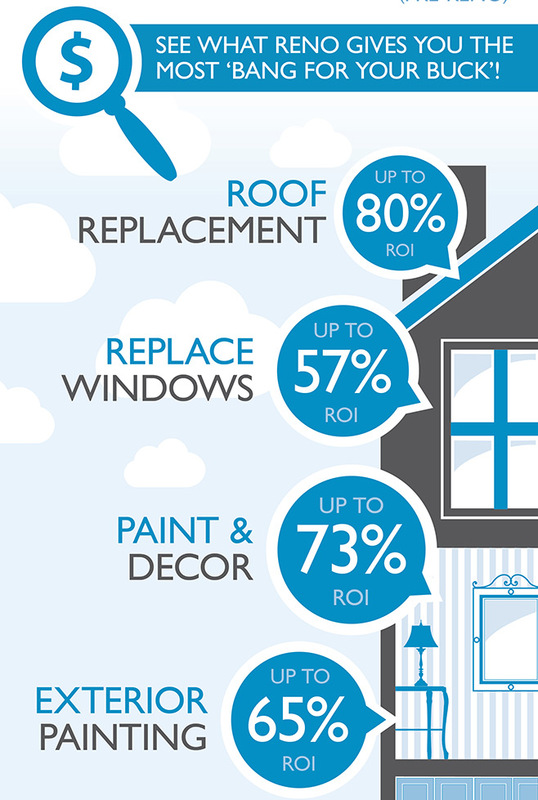 [Infographic] Renovating and want to boost the value of your home? There’s nothing like a renovation to add extra lustre to your home, but did you know your reno can add some serious value to your property too? After all the dust, dirt and hard work, you end up with improved living space and possibly better prospects in the resale market. But not all renovations are created equal: some add much more value than others. A roof adds approximately 80 per cent of its value to your home. A finished basement comes in just below that at 75 per cent return on investment. Change your paint and decor and see a return of 73 per cent of the cost. Painting the outside of your home yields a 65 per cent return on investment, while replacing your windows adds just 57 per cent of the cost to your home’s value. But the number one renovation that pays off in the end: renovating your kitchen. 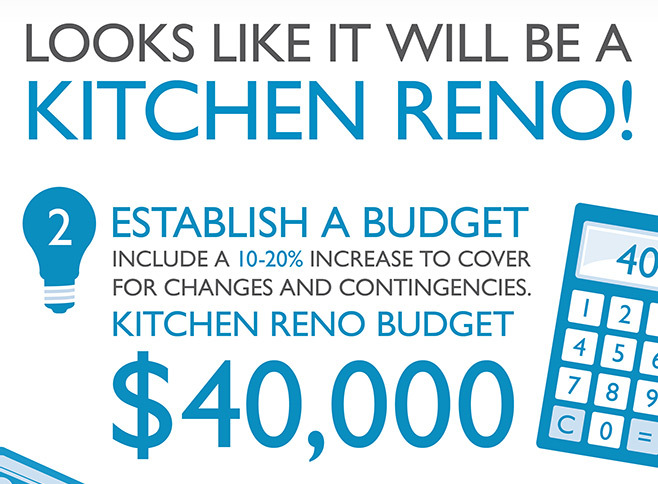 A kitchen reno can provide a 100 per cent return on investment. When it comes to listing your home, this is the change sure to make the biggest difference. Let’s say you have a home worth $360,000. You want your renovation to add the most value possible, so you decide to redo your kitchen. Set a budget and make sure you build in an extra 10-20 per cent in costs to cover any necessary changes or contingencies that come up along the way. Let’s say your budget is $40,000. The next step is to secure financing. There are several options available to help make your renovation happen: getting a home equity line of credit, refinancing your mortgage or applying for refinancing through CMHC’s Improvement program are all paths to securing funding. Now, the only thing left to do is get started! After your smart renovation is complete, you’ll have a beautiful new kitchen and a more valuable home. 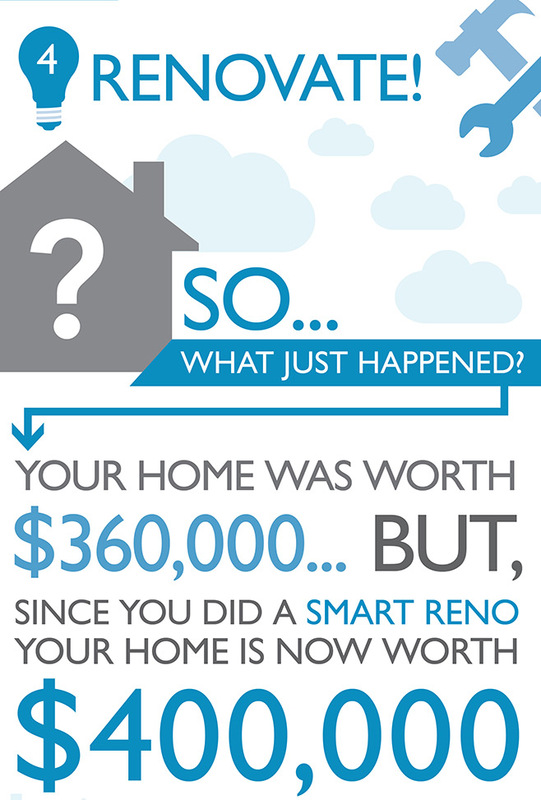 Since kitchen renos usually yield a 100 per cent return on investment, your $360,000 home will now be worth $400,000. A win-win situation, for now and when you choose to sell.